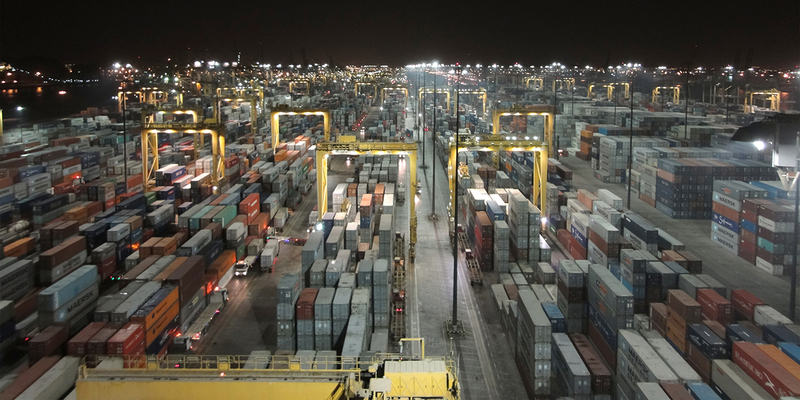 DP World was facing monumental challenges with lighting its more than 175 hectares used for cargo movement and storage 24/7—excessive spill light, exhaustive maintenance, massive energy consumption, and skyrocketing costs. 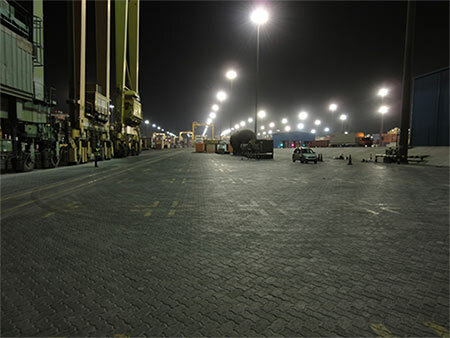 DP World needed to address these challenges while enhancing its uniform, consistent light levels to ensure the safest and most efficient operation possible. 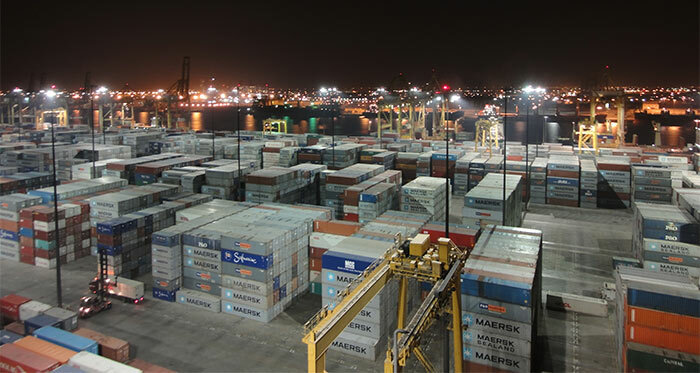 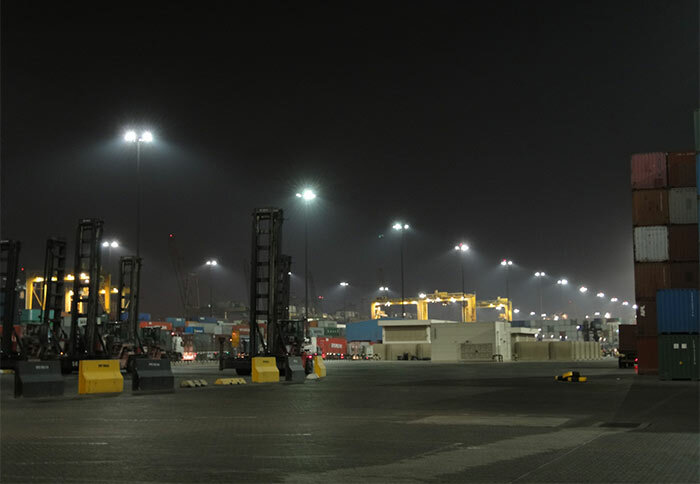 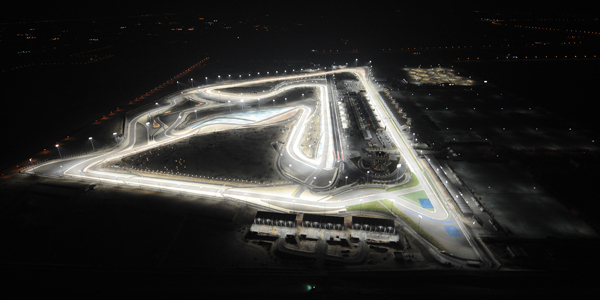 With the custom-designed Green Generation Lighting® system installed by Musco, DP World reduced its kW usage by 72 percent, cut annual CO2 emissions by more than 10,000 metric tons, eliminated maintenance costs for 15 years, and realized an annual savings of $1.5 million. 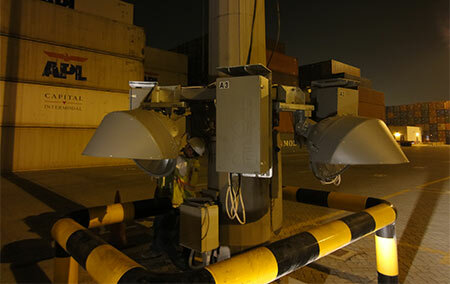 And, the Jebel Ali Port Terminal 1 was able to stay operational throughout the entire installation process.